Johnny and Sandra. We have the best specialist web site of ancient, classic and rare coins CLICK on 'View their Website' in CONTACT DETAILS below. 24 hours, 7 days a week. Night time orders processed the following morning. Otago Coin trades in antique coins and world coins, banknotes and tokens ~ see our website for the coins. CLICK on 'View their Website' in CONTACT DETAILS below. We specialise in ancient Roman coins, with emphasis on quality. Roman Republic silver coins and Roman Empire. 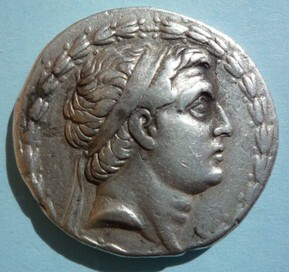 We also have the larger silver coins (tetradrachms) of Roman Syria and ancient Greece. If you want an unusual original gift for someone special ~ we can do that too. see our website ~ click on 'View their Website' ~ in Contact Details box below.